Toyota Motor Sales USA said it is recalling approximately 34,400 2006 Lexus GS 300, IS 250 and IS 350 models to fix faulty fuel pipes in the engine compartment. The recall involves both two-wheel-drive and all-wheel-drive models. It is part of a larger global recall by Toyota Motor of some 215,020 units of the Lexus GS, Crown and three other high-end car models in Japan. Toyota Motor Sales USA spokesperson Nancy Hubbell told us that "we've seen only one occurrence [of the problem] in the U.S." with no injuries or accidents reported. The recall is being launched in conjunction with the National Highway Traffic Safety Administration. In a statement on Wednesday, Toyota's U.S. sales arm said, "A possible crack may form over time in two specific fuel pipes in the engine compartment in the affected models. "The condition is due to high-stress areas that may have been created in two specific fuel pipes in the engine compartment during the manufacturing process," it said. "Combined with other factors such as the presence of corrosive agents in the fuel, a crack may form in the high-stress areas over time that could lead to fuel leakage. "Owners of the affected vehicles in the U.S will be notified of the recall in early December. Lexus dealers will replace the fuel pipes with redesigned ones at no charge.The recall casts a pall on what has been the largely sterling reputation of Toyota's upscale brand. It is yet another blow to the Japanese auto giant, which is still smarting from its plunge in October in Consumer Reports' 2007 reliability survey. The consumer watchdog said it no longer recommends the V6 version of the best-selling 2007 Toyota Camry or the four-wheel-drive V8 version of the 2007 Toyota Tundra because of below-average reliability. 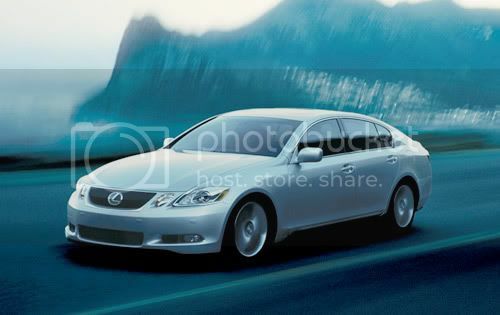 The all-wheel-drive version of the Lexus GS sedan also scored a below-average rating and is no longer recommended. Toyota fell from 1st to 5th place in the Consumer Reports ranking for 2007, behind Honda, Acura, Scion and Subaru.